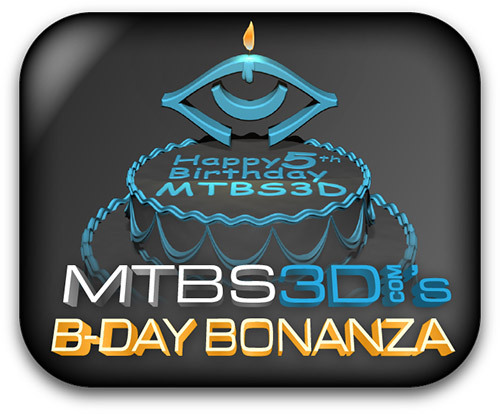 If you still haven’t entered in Meant to be Seen’s Birthday Bonanza Contest for the website’s 5th birthday, don’t miss your chance as to do so and maybe ween some cool 3D prizes. The contests was supposed to end today, but it has been extended by a week and the end date is Monday, May 21st, so do take a look at the website for more information if you still haven’t done so. One of the most annoying things when viewing stereo 3D photos online is that most of the time you have to actually save the photo locally on your computer and then open it with a 3D photo viewer. There are of course some exceptions such as when viewing anaglyph images, or using dedicated website for some specific 3D Viewing solution such as 3DVisionLive.com for 3D Vision, and there are some new alternatives also appearing. MTBS has updated their image gallery (few thousand photos, mostly 3D game screenshots) with the ability to view the 3D photos (not all photos in the gallery are in 3D) directly online with all the major solutions in the market including AMD’s HD3D, Nvidia 3D Vision, interlaced, DLP, dual-output (projectors), anaglyph, and more. You’d need to download an alpha version of sView and use the stereo 3D button below an image to view it without having to download it (3D only in full screen for now for AMD HD3D and 3D Vision). The only limitation in getting this to work for you is that you must be using Mozilla Firefox, Google Chrome, or Opera browser – Internet Explorer isn’t supported yet.